Tami Simon: You’re listening to Insights at the Edge. 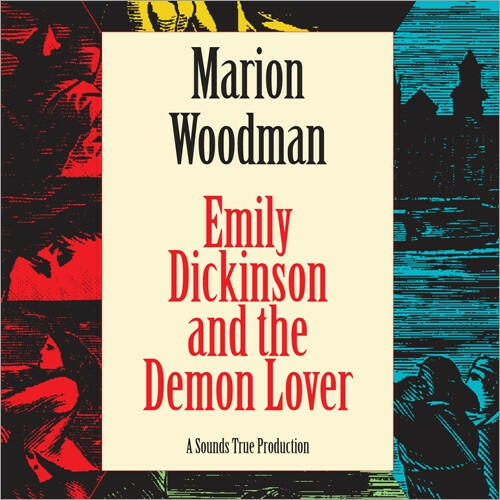 Today my guest is Marion Woodman. This is Part 1 of an interview that was recorded in the year 2000, and has never previously been released. 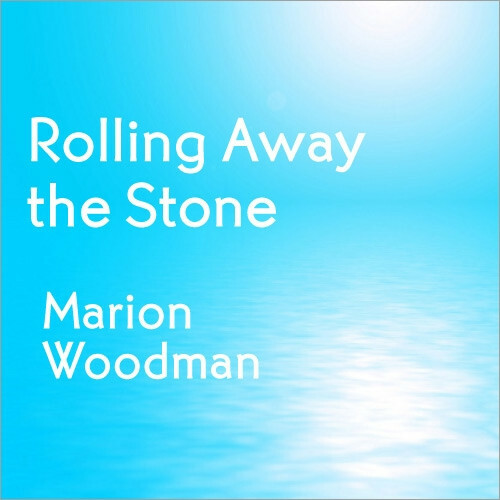 Marion Woodman is a writer, international teacher and workshop leader, and a Jungian analyst. With over half a million books in print, she is one of the most wildly read authors on analytical and feminine psychology of our times. In this episode of Insights at the Edge, Marion and I spoke about a recent cancer diagnosis she had received, and how her life changed after receiving that diagnosis. We also talked about life as a womb, and the courage that it takes to face death. We talked about life as a series of birth canals, and the gift of faith. And finally, the humor that can come with old age. My conversation with Marion begins by her describing how she found out that she had cancer and how it changed her perspective on her life. It was within four days that I knew it was cancer, and then the operation took place within two weeks. And life has been different ever since because it opened up a more abundant life. That’s how I would put it. Facing death and all that was involved in living with cancer has opened me to a more abundant life. So on one level, I can be very grateful for what I think of as a time of grace because a whole new world has opened up in terms of perception through my eyes. I can remember the first time I saw a tulip in the spring after the operation. I had never seen red before as I saw it then. It was a vibration that came through my entire body. Same thing with listening to Mozart, with perfumes. All the senses are brought to life in a very new, exquisite way. It’s as if there’s a whole new body has been born of out my physical body. And I like to think of it in that way, actually, that life on this earth is a womb in which we are developing the sensibilities, sensitivities, for the world that we are moving into through the birth canal of death. And those sensibilities that we have developed here that don’t really seem to have any particular value on this side, on the other side, we will suddenly realize what they are all about. Just [like] the baby coming out of the womb. It hasn’t needed its eyes and ears and senses in the womb. But the minute it’s born, we understand why this development has been going on for nine months. This development for the life after death takes a little longer. TS: I’m curious, Marion, what aspect of your experience with cancer has exacted from you the most courage? MW: What has cancer required of me in terms of courage? I would say it has forced me to bring out my masculinity in a way that it never came forth before. I have a very creative masculine side. I can trust my masculinity and my courage when it comes to writing. Usually in speaking, as well. And of course, the courage to face death. I can remember one night, in the middle of the night, standing by the open window and hearing the doves cooing outside, chatting to each other, and the perfume of the garden coming through the window. And suddenly, being faced with that—do I believe in an afterlife at all? Is there anything? Is there nothing? It’s the extremes. You either believe or you don’t. All my life I have believed, but when actually faced with the possibility of never hearing the doves again and never smelling the garden again, the question was real. And that was a moment of courage. Of course, that’s a moment also that has made me hear and see and smell in a totally different way. But I think it also—I had to really face that question for a week, and the depression was immense on the one side, and a certain anticipation and excitement [was] on the other side. And I’d also have a terrible fear of the kind of pain that I have witnessed with my friends who have died of cancer. And there’s courage involved in dealing with that process consciously. Oh yes, I know another huge moment of fear, and where courage was involved was when I was told that I had metastasized cancer of the bone and was going for the final diagnosis. Ross and I were walking to the hospital. And as we walked, he was ahead of me, and I saw the lovers—it was Christmastime, snowflakes [were] falling, the red poinsettias, the lovers drinking their cider and wine in the windows of the shops. And it seemed to me to be so beautiful. And Ross seemed to me to have such incredible courage, walking towards what was probably our doom. And I thought of Dostoyevsky’s prisoner in the cart in The Brothers Karamazov—I think it’s Brothers, I’m not sure, it could be The Idiot—but there’s this one scene where the man is going to his execution in a cart. And he begins to see everything on the street with such beauty and such poignance. And he keeps thinking, “There’s one more corner, and there’s five more minutes. I’ve got five more minutes.” And it was that kind of intensity as we moved towards the hospital through the snow. But again, I could see that out of that horrible, horrible moment of darkness, the perception of life changed. And it has remained with me. It’s like Blake’s pulsation of the artery; it just takes one moment of new perception to change a life. And those dark, dark moments of fear are what made the transformation for me. TS: What would you say, Marion, to an elderly person who is afraid of the process that’s happening in their body, and afraid of illness and afraid of death? MW: If I was speaking to an older person facing illness, recognizing that the body is failing—it’s a terrible business, you know. I’m not saying that old age is any great, glorious adventure. I try to deal with it the most creative [way] I can. But I regret when I can’t wear pretty shoes. And I regret when I see that my skin isn’t what it was and my hair isn’t what it was, and I can’t do the things that I want to do because my body simply has limitations, which I now have to be realistic about. But I also have realized that with the gradual failing of my physical strength, and even my moments of senior moments of forgetting, I’ve realized that there’s another strength, and if I can just relax and allow that—well, what It is is who I am to come through. I don’t have to put on any show; I don’t have to pretend to please anybody anymore. I don’t have to be anything but who I am in any situation. And there’s somehow a spiritual strength in that, that people value and I value. I’m always surprised that I don’t have to put on any kind of a performance in order to connect with people. And I find, in my intensives, for example, with the women that I love so much, they value the wisdom. I’m almost afraid to use such a word, but they value the experience that I have been through and how I have matured through those experiences. I love being with them, I love taking to them, and they value just my presence, and that is amazing to me. I value women’s circles. I think that older women coming together as the old clan sisters used to come together, there’s a strength there that our culture needs to know about. It’s a very important loss if old people are ignored, because life does swing some pretty important lessons. And the other thing, of course, I think that we have to say, the older people, is about the planet. At this stage, you can see where you have lived and that your body, your matter, is part of that planet. And indeed, it is going back to that planet. So that your association to nature is very, very different when you begin to think this earth to earth, dust to dust, is real. So what I would say to older people is recognize where your strength is. Don’t try to be who you’re not. Recognize your limitations. Recognize that it is the inner world that is now important. Gather in all your resources into that core. I sort of think of it as preparing for lift-off, just pulling everything into that center. And don’t try to be younger than you are. Take the responsibility of having lived a wonderful life, and having learned, and having loved, and let that compassion that has come into your heart through having many losses along the way, let the compassion that is born of those losses and sacrifices open you to the world around you. TS: Now, what about what you would say to an elder person who has a lot of regret about the life they haven’t lived, and now they can’t? MW: For the older person who has a lot of regret for the life they never lived and now it’s too late, that is a terrible place to come to. But I have worked with people in my practice, and I have had friends in that situation. They have not lived their own life. They have pleased other people, they have put on a false persona, they were always going to change things but they never quite did and now it’s too late. Or sometimes they’re not very old. Sometimes they’re only in their 50s or 60s and the energy that wanted to go into the new life has turned against them. So instead of using energy to go out, the energy backfired on the body and the symptoms have manifested. I think that’s what autoimmune system breakdown is about. And we just immediately began working with her dreams, and over the period of a year, we watched the pregnancy taking place in her body. Of course, that’s a huge thing. Somewhere there’s a huge relationship between dying and birthing; between a tumor and a baby. There’s a relationship there, certainly in the body of a woman. And [the woman] sometimes didn’t really know whether it was tumor that was growing or a baby. And the very last dream she had was of a golden child coming out of the crown of her head. So when she actually died, the room was full of light. It was just like light emanating from her. It was as if the life process had constricted into, “I have a short time to live, I’m going to live it. I’m going to find out who I am.” And she did. And the nurses, the doctors, everybody that came into her room felt this emanation. I’ve seen that kind of thing in a young child. At the clinic, there was this one little fellow. He was five, [and] his mother brought him every day in a wagon. And I watched that little boy get smaller and smaller in the wagon. He was just like an angel by the [last time] I saw him. I don’t think it’s a matter of time. I think it’s a matter of how much you want to find yourself. And if you’ve only got a week, come to the core of who you are, and it’s amazing how much you can find out fast, if you truly, truly concentrate. See, if you do that, there’s a strange thing that goes on here, in hospitals. I worked as [a] midwife for people who are dying, and I just listen to them, honor them as they go through the process. But many people think that the visions and the dreams of the dying—particularly if it’s cancer—are drug trances. That they’ve got so many drugs in them that they’re just in mad trance. TS: I’m curious, Marion, what you’ve discovered about prayer, through the course of your illness and looking at your own death, from a very inner perspective, what you know about prayer, how you use it. MW: Well, I think I was born with the gift of faith. And I think it is a gift. Certainly it has been developed, but from the time I was a tiny child—and of course, my father was a wonderful gardener—and I felt God in the flowers and in the woods. I played in the woods and I played in the cemetery beside the church where my father preached. So I was surrounded by the idea of God. But I talked to God as a child because I happened to have seen a picture of Joan of Arc. Not in her coat of mail, but just standing underneath a tree with her arms outspread. And the angels were up there. And that picture, I liked [it] so much that I cut it out of The Book of Knowledge with my father’s razor, against all the rules. And I carried it with me everywhere I went in my pocket because I knew I was safe if I had that picture with me. So my feeling about angels was in my bones from the beginning. And I was like [in] Fiddler on the Roof, I would just sort of speak to them, and they gave me an answer. And I didn’t care whether other people laughed at me or not. It couldn’t have mattered less to me. Because I knew for me it was true. That’s what I mean about the gift of faith. Whatever people said about my feelings about God and angels, it had no impact on me whatsoever. I just never told them anymore. I just blocked them out. And in fact, I felt sorry for them. And that has grown throughout my life. I’ve never—I was going to say I’ve never lost faith, that’s not quite true. There was a time when I really believed that I was—when I was anorexic, let’s be honest, I had an incredible spiritual insight and experience, because I was dancing a lot. I didn’t run, I did dance. I could dance until 5 o’clock in the morning with no difficulty, and of course, without eating properly. And that opened up such an energy in me that I felt that I was in the presence of white heat spirituality. Then, of course, came the terrible moment when I realized that this was not life, but death. That was a challenge, because I just could not believe that I was in the hands of the demonic, and that my life was being taken away from me and that my body was filling up with water. And I had no control then over the weight, which was my obsession. And then I thought God had really turned against me. Not that God had disappeared, but that for some wild, mean betrayal, he had turned me out. And that was a terrible, dark, dark period in my life. I lost it for about three years. But then gradually, the faith came back through prayer. I had a hard journey back, and I had no container, nobody to mirror who I was, except Emily Dickinson. And that’s where Emily Dickinson seemed to understand me exactly. So I would sit in a rocking chair and rock, just rock as hard as I could rock, and say the poems out loud. And then they became—she went through this kind of darkness, and her courage to keep writing and to deal with the chaos inside by writing those lines encouraged me to hold onto my writing. And my faith came back through the experience I began to have through prayer, through reading her poetry, through walking in nature. In those days—well, since I was maybe 14—every morning I take a half an hour at least to read something I need spiritually, to pray—by which I mean keeping silent and listening. I don’t really believe in praying for things, because that’s usually my ego saying, “God, please give it to me.” I used to pray that way when I was young. You know, “Make him love me, please make him love me!” But I realized that that’s not quite the name of the game. So now, “thy will be done.” Not my way, but thine. And to be able to hear what that way is, is now the crucial thing. To be able to keep still enough inside, to have that axis. I feel there’s an axis between me and God. Now, my God now is opened up to what I call God Sophia, because I desperately needed the feminine. There was no way out of anorexia without the feminine. Because I knew all about willpower and order and “you will do it this way,” and all it did was break my body down. It just finally said, “I won’t go on.” So then I had to learn to love my body, and to love the rhythms of nature, to love the process and the presence, the receptivity, and most of all, the surrender. And that’s a long journey back to—well, of course, you don’t come back to where you [were]—you move into a totally different space once that surrender happens. “Thy will be done.” And it’s daily, too, after that original recognition. TS: Marion, how do you love your body when it has cancer? So I’m used to being pulled out of a situation against my will, because once I’m in a situation that I love, I don’t want to leave. But in my life, I tended to get into a box eventually that was too small for me, and I would have stayed there if something hadn’t pushed me out. And it was all God that pushed me out, of course. But I had to break out in order to find what the new path was. So I felt the same way about cancer. I loved my profession. I loved being a Jungian analyst. I loved working at the office, and had no intention of leaving. But then things began to happen and my intuition became quite frightened. So I had little cards printed, saying that I was leaving my office next June, and the ironic little statement from Hamlet: “The readiness is all.” If anybody was not ready, it was me, but I put that on the card anyway. And then, of course, I was out of the office in November. After I had that card printed, it wasn’t two months before the diagnosis came. So it was in my body, you see, I somehow knew that. But I had no anger toward it at all. I asked myself the Baba Yaga question—the very powerful Kali mother from India—“Are you here of your own free will or did you come by compulsion?” And I had to say, “I worked as hard as I could. Maybe too hard. Maybe I drove my body too hard.” I had to weigh the balance, and say, “Yes, 165 percent by my own free will, and 98 percent by compulsion.” Because from inside, I am pushed. And then I spent a lot of extra time working with my body and trying to let it speak to me. And I did exercises that would bring the voice of the body—particularly, of course, where the real depth of the weakness was. It will talk. And I wanted to understand from its point of view what was going on. And then, of course, there was the period of trying to pull the strength back in. And it was afraid. My feet were afraid to walk on the ground, and certainly afraid to cross a street. So I would have to talk to them and say, “It’s OK. You’re not going to be knocked down, and you are able to walk.” And very gradually, I did get my feet on the ground again. But it took a good year and a half before they would walk. You see, what that did would bring me into a whole new understanding of the cells of the body. The illness is in the cells. And if they get the idea that they’re going to die, it takes a very strong spiritual faith to make them believe they can live. And having been diagnosed with metastasized cancer of the bone, everything, every cell in my body, after six months, believed it was finished. And although with my mind I accepted the fact that maybe it was not metastasized bone cancer, it didn’t make any difference to the body. It was on its way out. So I had to spend hours dialoging with it, and trying to—particularly in the legs and feet—get them to walk, instead of ride around in a wheelchair for six months. TS: So you’ve been talking about the passage you went through with anorexia and other trials in your life, and I’m curious, what do you think the function is of difficult periods in our life? How does it work? MW: Well, what is the meaning of these trials that we go through? I see life as a series of birth canals—the maturation process. And the birth canals go up and down, so that there’s a series going like this. You know, you move along quite happily on a plateau, and then suddenly maybe you lose your job, or you get bored with your job. Something starts to break up. And you sense that there’s another birth canal coming, and the world that you have known is going to die, is finished, it’s over, the old placenta has to be thrown away. There’s going to be a period of anguish going through that birth canal, finding out what your new wings are. You’re going to be caterpillar for awhile in there, but then you begin to realize that there are wings forming. You come through on the other side in a different place. There’s a new person born. Quite difficult on a new plateau. Sometimes the birth canal goes down, and there’s a dark period. But then you begin to realize, after you’ve been through a few of these, that what is happening at the higher level is also happening at the lower level. And these two are in ratio, and it’s like a pendulum swinging between the light and the dark. And to be able to hold in the middle when that pendulum comes through—here I am, up here in a very positive place. He loves me, he loves me, he loves me. Now, the pendulum, at some point, will swing through. He doesn’t love me. And then it’s jet black. Then, again, after a few years—usually these phases run in cycles. Something new happens. Maybe you’re not interested in your job, your marriage, whatever it is, and another birth canal. So I see [each birth canal] as an initiation. It takes me into new and exciting space. And the last initiation will be death, which will bring me into a new, abundant life, I hope. TS: So do you believe that the joy in our life can only be equal to our sorrow? That they go hand in hand? MW: Yes. I think that our suffering is in relation, direct ratio, to our joy, because of the intensity. If you throw yourself 100 percent into life, and whatever it is you’re throwing yourself into collapses, you’re into 100 percent grief. At least, I always was, because I tried to live my creative fire as fully as I could, and even to stretch beyond. I was always leaping the fences into some wild woods that nobody else wanted to jump into. But it was my nature, and thank God I followed it. I have no regrets now, that I could have done this, or I might have done that. I lived it the very best I could. Now, I made some mistakes, I think, but fortunate mistakes. You know, culpa, mea culpa. I really believe that those mistakes were meant to be. But when I was suffering, I was on the bottom of the barrel. Because the joy had been so great, the suffering—the pendulum came full swing on the other side. The pendulum will swing exactly—if you just allow it to swing a little tiny bit because you’re afraid, that’s all it will swing. But if you’re willing to allow it to swing more, you are going to make yourself more vulnerable. If you trust and put your faith in something, and the pendulum comes back, you are vulnerable in that area where it moves in on the dark side. And there, of course, is where the pain is. But then you build up the strength to deal with that vulnerability, and then it can swing higher, so that gradually, you have the full swing of your emotional, spiritual, physical body. That’s what I think life’s all about. To be safe and only live that much of that pendulum is so sad. But it does take courage to let it swing further into the unknown, because it’s going to come through on this other side. Because, you see, the more you love, the more vulnerable you are. The people that you love the most can hurt you the most. So there’s where the vulnerability is. The faith that you have, if you lose it, the hole that opens up is immense. Now, I’m sure a lot of people would say, “Well, that is histrionic. You’re dramatizing your own life. [You’re] melodramatic.” But if your whole being is in it, those words are mean. I’ve had those words put on me. Or, “You’re a romantic.” But the people who use those words were not willing to put the 100 percent in. So I dismiss it. I dismiss those words. And I find friends who are willing to go the 100 percent, and that’s still true. And thank God I found a husband who’s willing to go the 100 percent. And we’re still together after 42 years, and that’s huge in my life. TS: What would you say has kept you and your husband together for 42 years? MW: What’s kept my husband and I together—my husband Ross—is our respect for each other as human beings, our love for each other, the fact that we had the courage to let our first marriage go and go through a dark period. I mean, the marriage as it was with the projections on it. Most people marry out of their projections the first time. And it has to change. So we went through a black hole, and then there was another whole marriage developed. And both of us are just curious enough and daring enough to open ourselves to depths that are frightening but exciting, and new possibility. Now, mind you, that causes difficulty in a relationship, too, because one person may want to go away for awhile. I wanted to go away and study to be a Jungian analyst when I was 45 years old. And that was very alarming to my husband, who was locked into a job at the university. He had tenure there. There was no way he could leave. But he gave me my freedom to go. And I was back and forth over a period of five years—a difficult five years. But a new person was born out of that, on both sides of the Atlantic. And by pulling back the projections that we once had on each other, and recognizing and honoring each other as human beings, and being able to love otherness and let the other be free to develop as necessary, I would say that’s been the secret of our relationship. And now, of course, it’s a different marriage, because age makes life very precious. And every day, you get up and you wonder what tomorrow may bring. So it changes your value system immensely. I mean, things that we used to fight over mean nothing now. Nothing. And we take time to be together, and we have a wonderful clown time together. By which I mean we can laugh at the fact that the doorbell rings and we have to find teeth and hearing aids and God knows when else in order to answer the door. And by the time you get to the door, the person’s gone. I mean, it’s a real Beckett drama before it’s over. So we have great fun with all this. Old age can be very, very funny, as Samuel Beckett well knew. And both of us love Samuel Beckett’s plays. In fact, we’ve acted in them together. And now we’re living it. It gives us vitality because it’s the clown that has detached. And instead of seeing the tragedy or seeing life as a tragedy as you lose your power, if you detach and live the freedom of the clown, it’s quite funny. And that gives you energy. TS: And at this point, we will conclude Part 1 of this archival conversation with Marion Woodman that took place in the year 2000. I hope you’ll join us for Part 2. 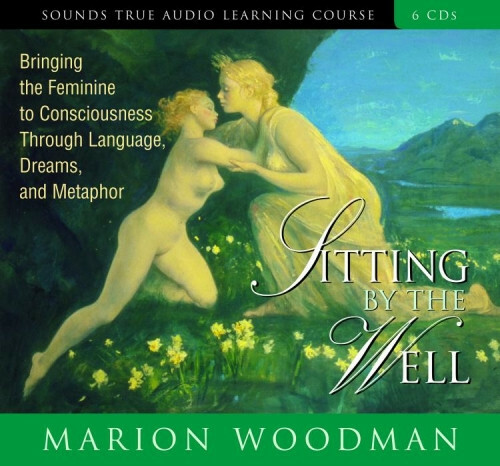 With Sounds True, Marion Woodman has released several audio programs, including The Crown of Age, Emily Dickinson and the Demon Lover, Holding the Tension of the Opposites, and a six-session audio learning series called Sitting by the Well: Bringing the Feminine to Consciousness Through Language, Dreams, and Metaphor. Thanks, everyone, for listening. SoundsTrue.com. Many voices, one journey.